Tolfree Foundation recently recognized SCP with the Grand Angel Philanthropic Award at the Foundation’s Shine On awards in West Branch, MI. Schumacher Clinical Partners (SCP) has announced the appointment of Garen Throneberry as Division III President. Schumacher Clinical Partners (SCP) has announced the appointment of Garen Throneberry as Division III President. In this role he will be responsible for SCP’s Hospital Medicine services and oversee the company’s relationship with a portfolio of clients and providers. In addition, Throneberry will lead the opening of a new SCP office in Tennessee. Under the leadership of CEO Rich D’Amaro, Throneberry will work alongside Division I President Jim Guidry and Division II President Dr. Derik King. Throneberry joined SCP in May 2017 as Senior Vice President of Operations. He brings more than 20 years of experience in healthcare leadership and administration to his role at SCP. The new office opened January 9, 2018, and is located in the Cool Springs Corporate Centre, 810 Crescent Centre Drive, Suite 560, Franklin, TN 37067. Schumacher Clinical Partners (SCP) has announced eight new WellnessWorks clients. Schumacher Clinical Partners (SCP) has announced eight new WellnessWorks clients to include: Acadian Medical Center/Mercy Acadian, Eunice, LA; Lake Charles Memorial Hospital, Lake Charles, LA; Rutherford Regional Health System, Rutherfordton, NC; Davis Regional Medical Center, Statesville, NC; Los Alamos Medical Center, Los Alamos, NM; Conemaugh Health-DLP Conemaugh Medical Center, Johnston, PA; Beaufort Memorial Hospital, Beaufort, SC; and Sage West Healthcare, Lander, WY. WellnessWorks, an SCP service line since 2012, links the ongoing community healthcare needs of employers, patients, and their family members to providers. Its program is designed to give a coordinated approach in the delivery of healthcare services to an insured captive audience and the local community. The WellnessWorks program combines its in-depth knowledge of each healthcare market and their services, with its care coordination and direct sales program to meet the ongoing healthcare needs of the community. WellnessWorks currently provides services to 90 markets in 25 states nationwide. CIO Chris Cotteleer was recently featured in the MIT Sloan Management Review 2017 Digital Business Report on the topic of digital maturity in contemporary businesses. Schumacher Clinical Partners (SCP) CIO Chris Cotteleer was recently featured in the MIT Sloan Management Review 2017 Digital Business Report on the topic of digital maturity in contemporary businesses. The article, Achieving Digital Maturity, profiles a global survey of more than 3,500 managers and executives, along with 15 interviews conducted with executives and thought leaders, including Cotteleer. They discuss various approaches to technology development, including implementing systemic changes that cultivate a digital culture; playing the long game in strategic planning; establishing scalable digital experiments that become enterprise-wide initiatives; understanding the need to become a talent magnet; and securing leaders who have vision and commitment to the digital world. The focus of Cotteleer’s contribution is on the benefit of technology attracting and sustaining employees and clinicians at SCP. “We provide technologies that streamline their interaction with the computer so physicians can focus on serving patients,” explains Cotteleer in the article. In follow-up, MIT Sloan also conducted a Q&A with Cotteleer titled: Big Data and IT Talent Drive Improved Patient Outcomes at Schumacher Clinical Partners, highlighting the ways in which SCP’s IT team leverages innovative, digital tools to better serve patients and providers during a time where data continues to change with the use of electronic medical records. The Digital Business Report segment can be viewed through the MIT Sloan site here, and the Q&A interview available for download here. Schumacher Clinical Partners has announced the appointment of Linus Diedling to the role of Executive Vice President of the Consulting and Physician Advisory Services Division. 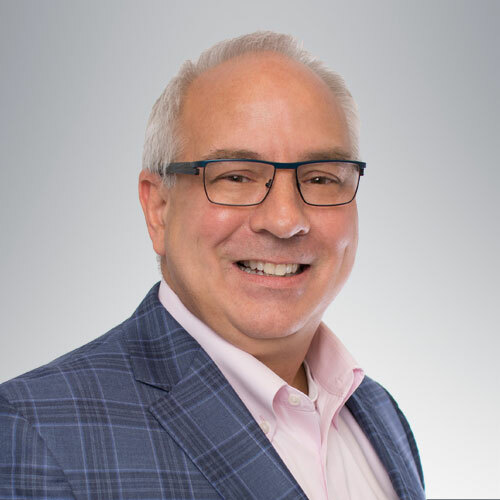 Diedling, a Partner with the Consulting Services division (formerly known as Subsidium Healthcare) since 2011, steps into this new role with more than 35 years of leadership experience in the healthcare industry. “We are privileged to have Linus’ expertise in healthcare operations management, performance improvement, and technology services at the helm of Consulting Services,” stated SCP CEO, Rich D’Amaro. As EVP, Diedling will be responsible for developing and implementing strategic business plans for the consulting business unit, as well as managing the day-to-day operations of Consulting and Optum Physician Advisory Services, a new strategic client relationship that developed this summer. His professional resume includes expertise in strategic planning and performance improvement services. A graduate of Xavier University in Cincinnati, OH, Diedling has led consulting engagements across the continuum of care in healthcare organizations throughout North America and Europe. “I am delighted to have the opportunity to continue to build an outstanding professional services organization with the many physicians and consulting colleagues here at SCP as we tackle the industry’s toughest problems with our clients,” stated Diedling. For more about Diedling, the team of SCP Consulting Services, and the tailored solutions they provide to healthcare clients nationwide, visit consultscp.com. Sarah Crass, Esq., a successful healthcare attorney for more than 18 years, was appointed as SCP’s General Counsel. Sarah Crass, Esq., a successful healthcare attorney for more than 18 years, was appointed as Schumacher Clinical Partners (SCP)’s General Counsel. She has been Chief Compliance Officer for SCP since 2015 and will continue to serve in that role as well. From 2008 to 2015, Crass served as General Counsel, Chief Compliance Officer and Senior Vice President of Hospital Physician Partners (HPP), which merged with SCP in 2015. She assumed the role of Chief Compliance Officer of SCP at that time, and has now recently expanded her leadership to include the role of General Counsel. Prior to her time with HPP, Crass was a shareholder in a law firm where she practiced in both federal and state courts in the areas of complex commercial litigation and civil trial practice, as well as assisting companies with general corporate and contractual issues. Crass is admitted to the state bars of Florida, New York, New Jersey, Oregon, and Washington. She is a member of the American Bar Association, Association of Corporate Counsel, and the Health Care Compliance Association. Crass received her Juris Doctor degree from the Boston University School of Law in 1998 and her Bachelor of Arts from the University of Florida in 1995. Read more about Sarah Crass.